The number of hours volunteers give to an organization can made a big difference in how prospective supporters, from individuals to large foundations, perceive it. If the community supports your mission, they’re more inclined to do so. 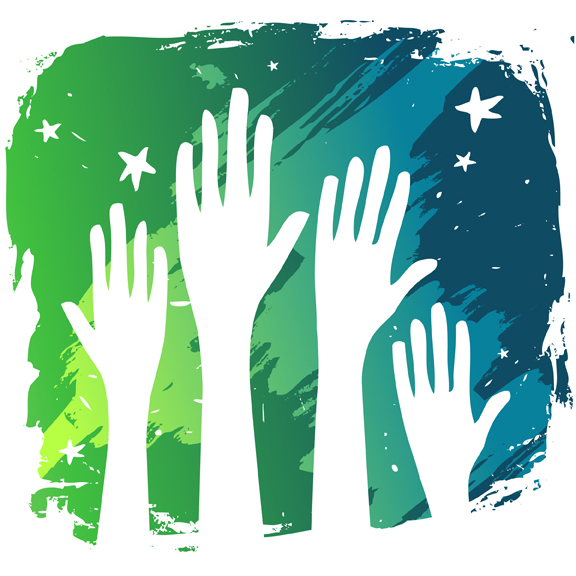 Government agencies require volunteer hours reporting from organizations they provide funding to. Some grant money is tied to a certain matching dollar amount, which can often be demonstrated in terms of volunteer hours. Supporters want to be sure that the organization has people in place to get the job done. In many cases, organizations are required to report the value of volunteer labor and services in their financial statements. Tracking hours facilitates good reporting. Even if you’re not required to track and report volunteer hours, it’s still a good idea to do so. Volunteers want to know they’re part of something bigger, and when those hours add up at the end of the year, it can really boost the pride your volunteers feel. You can use a simple form to gather volunteer information by the day or week. Just be sure to capture the information as soon as possible so nothing gets overlooked. This system would require entering the daily or weekly data into a spreadsheet or similar tracking system, which could be tedious. Volunteer management software tools are great for scheduling, recruiting and tracking volunteer hours. There are quite a few on the market, and many offer a free trial so you can try several and determine which one best meets your needs. Crowdsourcing: Sites like Crowdrise have made it easy to get the word out about your cause and connect with people who might want to support it. Create a project and Crowdrise will put it out there for a vote. Firstgiving helps organizations fundraise online. Storytelling: Help donors make a good decision. People want to connect to their causes, and there’s no better way to do that than to tell your story well. Create vignettes of the people you serve and how your organization improved their lives. Feature a board member, to describe how important members of your community are involved in volunteering at the management level. Elicit an emotion from a reader, and you’re more likely to elicit a donation as well. Get reviewed: Just as on Travel Advisor or Yelp, people want to check out charities before they give. So make sure you seek reviews from community leaders, supporters and volunteers. Then, share them through GuideStar, Philanthropedia and GreatNonprofits. Watch your credibility soar! Follow up: You’ll leave donors with a great impression if you follow up with them after they give. Let them know how you used the funds, and they’ll be more likely to give in the future, and tell their friends about how great your organization is. Give the opportunity to get involved: Donors, especially younger ones, want to be part of something bigger. They don’t want to just write a check. They want experiences, even if it’s just signing a petition or sharing your Facebook page with friends. Who knew that learning improvisational comedy—like every Saturday Night Live and Second City comedy troupe alum has done—could improve work performance for mere mortals? Not only does improv teach you how to think on your feet, but it boosts confidence, too. That’s why many workplaces are incorporating improv into their training mix. Those who undergo comedy training find it’s an asset in their professional life, along with their social life. Companies find it improves the entire workplace culture. Nonprofit organizations could take a cue from the corporate world. Since every staff member and volunteer also serves as a spokesperson for the organization, it makes sense to help them polish their presentation skills. Participants are more comfortable speaking up in meetings, too, and often more work can get done in less time. Improv workshops are also great for team building and icebreaking. Helping a new group of staff and volunteers get to know each other, or doing an annual comedy retreat for staff, can really help the bonding process. Even a single workshop can help. Learning improv skills together removes barriers between people. Participants are encouraged to tell true stories, and are therefore almost always humble and even vulnerable. They let their guard down, and show their true selves. Others share their similar experiences, and everyone finds common ground—so important when building a team to further your charity’s mission. Essential business skills like creativity, leadership and quick decision-making are all part of improv. Learning these skills in a fun and different way has been successful for countless companies. You might want to try using it for your volunteer and staff training.